Multitasking has never been easier! Relax, Focus & Regain Your Confidence! Indigenous South African Cactus effectively relieves stress, heightens productivity. 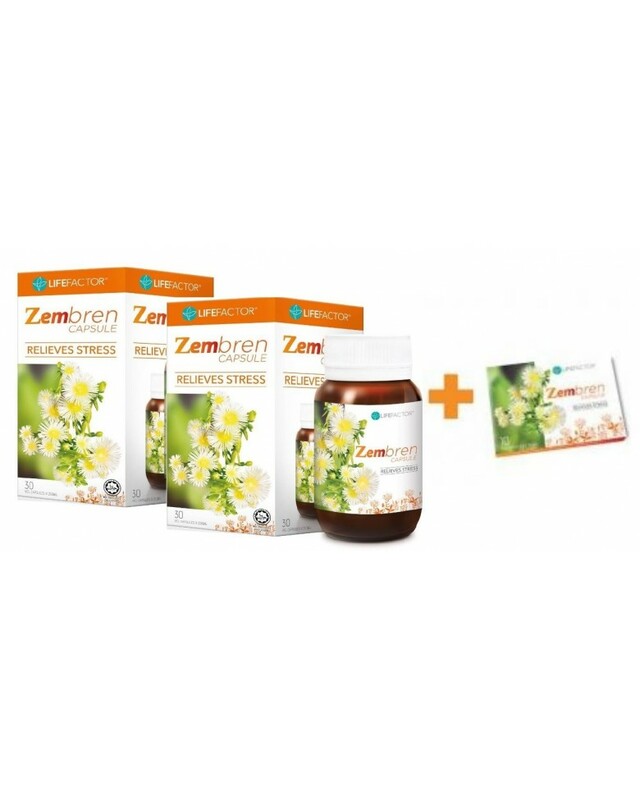 LIFE FACTOR’S ZEMBREN CAPSULES , awarded the Product Excellence Award in 2018, have taken over the anti-stress pharmaceutical industry by storm. Although the cactus has been used for over 300 years by South Africans to elevate mood and preserve the overall mental health, Life Factor’s fast acting and non-drowsy Zembren capsule formula has helped treat those with neurological disorders and neurodegenerative diseases too. Tough situations (e.g. speaking in public, constant travelling, surviving competitions, meeting deadlines, passing exams, etc.) trigger an avalanche of negative emotions, mental blocks and physical exhaustion brought about by anxiety. Consistent exposure to such situations leads to a rise in cortisol level and hormone fluctuation. Thus, in time, it becomes more difficult to function effectively if the anxiety is not overcome. It is then easy for anxiety-prone individuals to succumb to behavioural or mental disorders such as depression (mild or severe), PTSD (Post Traumatic Stress Disorder), psychosis and other severe health problems. Targeting the feelings of anxiousness from multiple pathways, LIFE FACTOR’S ZEMBREN CAPSULES rapidly pacify the mind and restore its functionality to its optimum state. LIFE FACTOR’S ZEMBREN CAPSULES are formulated with the world’s only patented and clinically proven standardised extract of Sceletium tortuosum (U.S. Patent #6,288,104, U.S. Patent #8,552,051), representing the full, unaltered phytochemical profile of the cactus plant. Thus, the capsules are the recommended alternative to medication drugs. LIFE FACTOR’S ZEMBREN CAPSULES contain the full clinical dosage (25mg) of sceletium tortuosum approved by the Ministry of Health, Malaysia.